We have a two questions for you. Are you looking to transform your dining room from a boring, typical space to a gorgeous, attractive oasis? O are you considering going with a glass table top? 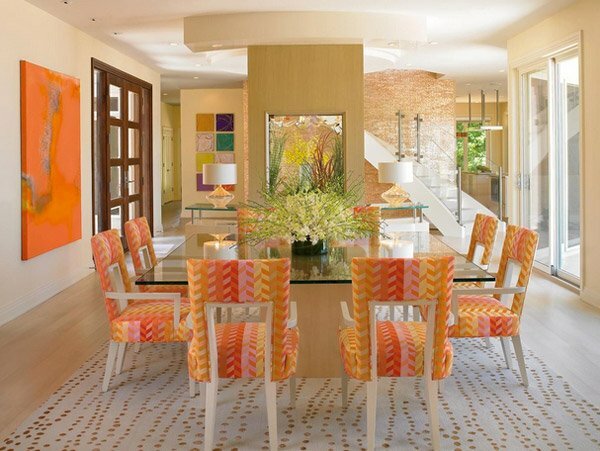 If both your answers to the questions are yes, then, today, we will be giving you simple and quick ways to give your dining room a facelift, switching to a glass top can add elegance and grace to your room while maintaining the functionality that everyone seeks in a dining room. 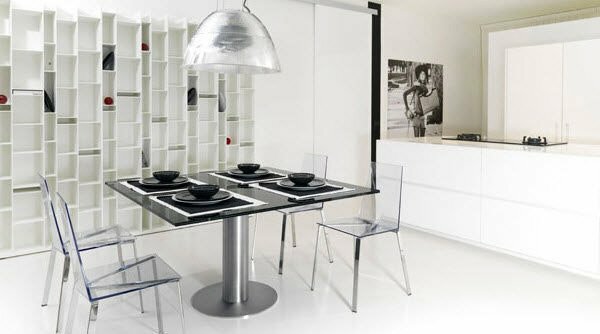 Our main goal today is to inspire you in getting square glass dining tables. Glass table tops come in a variety of shapes to suit your needs. 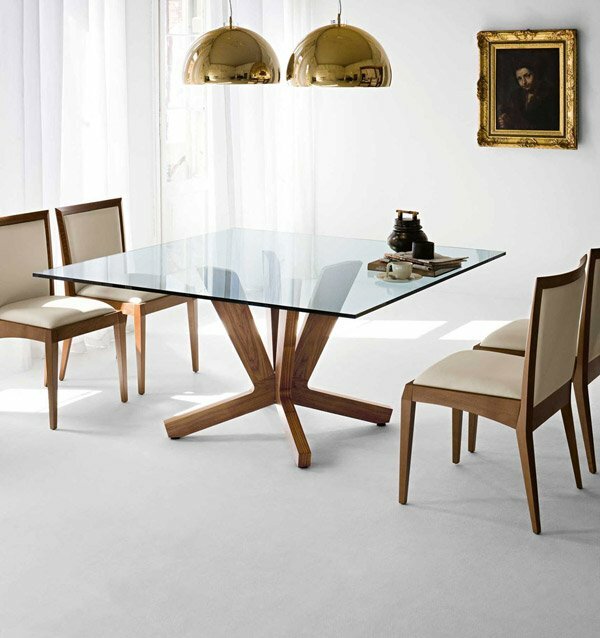 Since our list focus on 15 Shimmering Square Glass Dining Room Tables, let’s focus on them. The common shape for dining tables is either rectangles or circulars. Like what we said in our previous articles about tables, we have to consider how many people will be using the table so that you can assess how comfortable each user will be. With that already assumed and maybe computed, let’s check out the tables. Isn’t this a fascinating glass table top with walnut stand and detailing for the chairs? The browns and whites evidently look great together. Stainless steel table legs and glass top table that match white leather and stainless steel chairs; aren’t they just lovely? 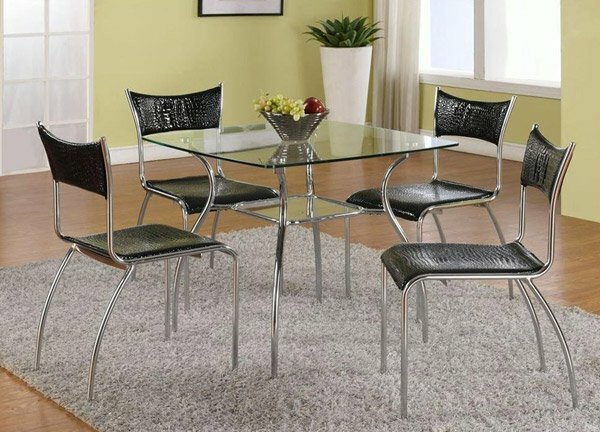 This black square glass dining table with glass top & chromed legs set looks definitely gracious in neutral rooms. The red chairs pop out because of the grey walls and floors. 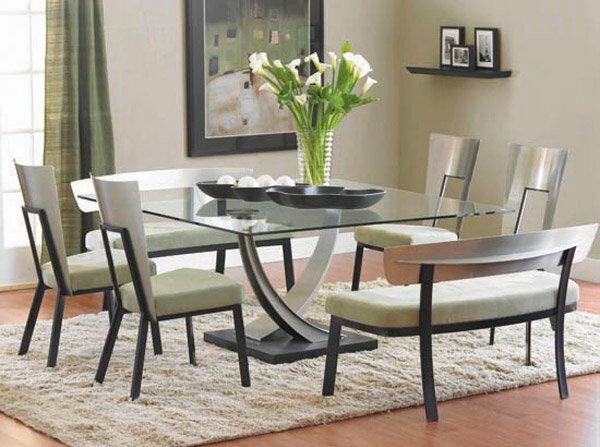 Square tempered glass dining table with center tray table. Curved chrome frame and legs. This dining room is nothing but bodacious and glam, it is cozied up by sheepskin throws on the chairs, great dimmable overhead lighting and bamboo shades. Thick chic custom studio dining square glass top table is really interesting and pretty. The detailing on the legs of the table is simple but intricate and the backseat of the chairs is cute too. 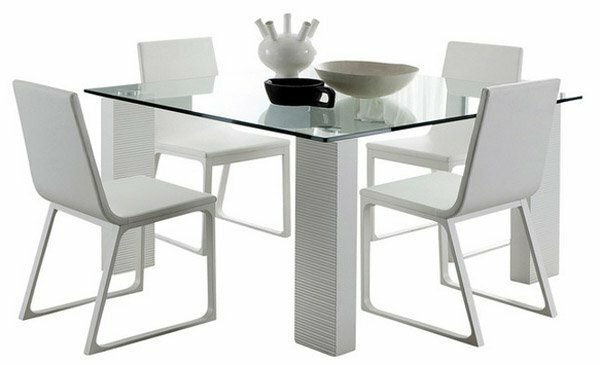 According to the manufacturers, apart from adding exclusive or costly furniture items to your kitchen or dining room, this Square Ice Dining Table set also lends warmth and feel of satisfaction to your home at an affordable price. 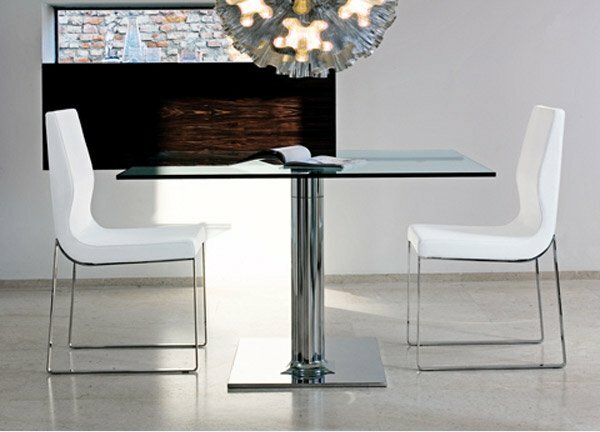 Ogni’s tempered glass top Nico dining table seats 8 guests in comfort while maintaining an air intimacy. 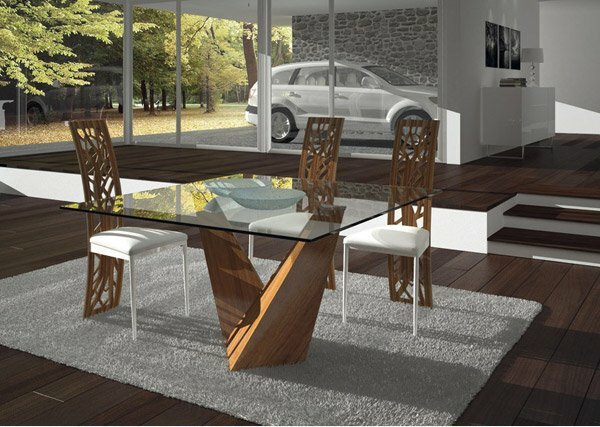 Dania says that this dining set features clean modern lines with a square glass top and champagne/java base. 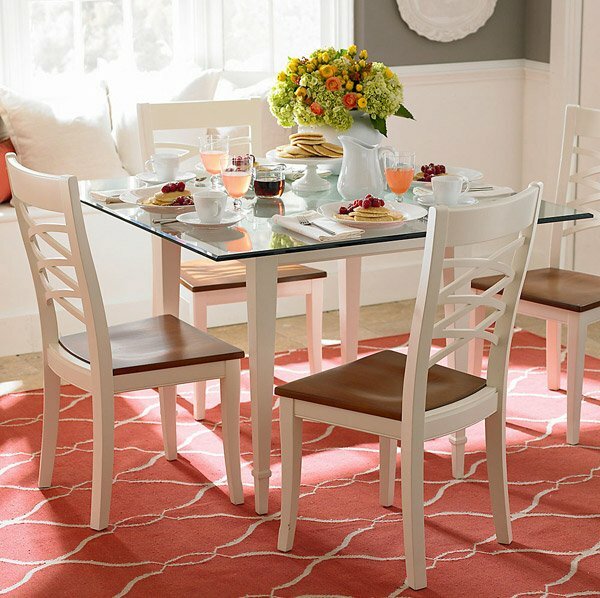 The color and style of this dining set is definitely funky and pretty. The fabric is stunning and is super eye-catching! 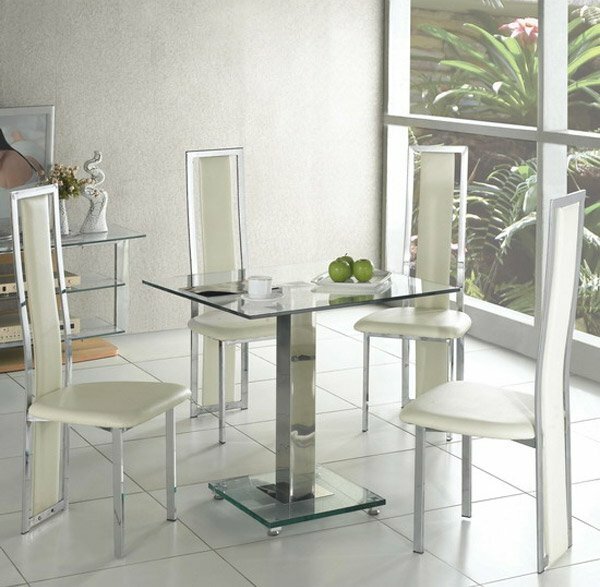 This dining room set is made from tempered glass with a perfect finished chrome base. Icaro is available with top in tempered stratified glass, lacquered MDF or solid beech wood with glossy matte finish and cylindrical base in polished stainless steel, chromate iron or wood-covered iron. This is a luxurious addition to any house interior. Its sleek glass top gives off an elegant reflection and shine. This dining table is perfect where space is short and believe it or not, this gorgeous table comes in different options and colors. The legs & frame base can be chromed, white or black. Host a fabulous party of four around this sleek square table. 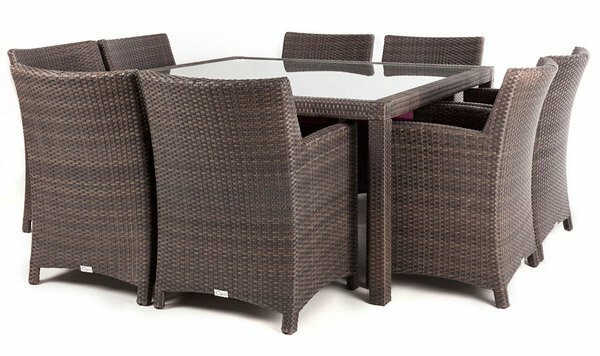 Simple and sturdy, cool and confident, it offers your guests plenty of legroom and your dining room some handsome new legs. 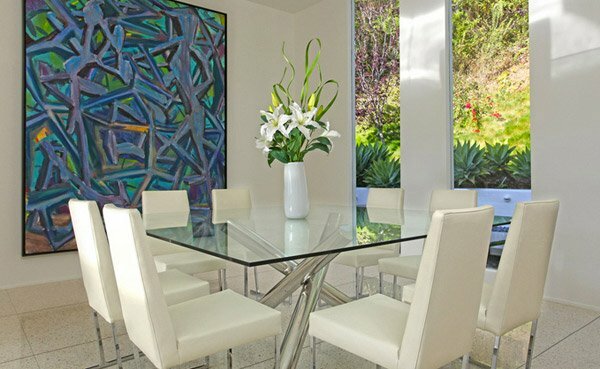 One of the major benefits of a glass dining table is that it is easy to clean. No more table cloths to protect precious wood. No more ugly pads to protect your table. No more smelly oils and cream to make your table shine. A glass top is best cleaned with a simple glass cleaner or even just a warm sponge. The hassle of cleaning is much less with a glass table top, making your dining and entertaining experience that much easier. As you shop for a glass dining table top, keep in mind the shape, size and customizations you are looking for. This will make shopping a breeze and will bring you one step closer to the dining table of your dreams. We sure hope that the 15 Shimmering Square Glass Dining Room Tables was able to help you in your choices and also check out the 15 Charming Square Dining Room Tables and tell us what you think. 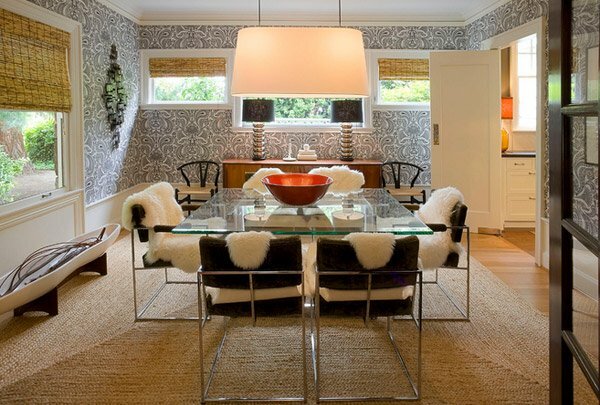 Among the lists,for me the Portland Dining Room is the most glamorous style. Well designed but I think this kind of table is more applicable for a small number of family. They’re all beautiful especially the TANGENT DINING TABLE MEDIUM. I thought the Tween Square Dining Table has only 1 stand..it’s funny I’m wrong!! 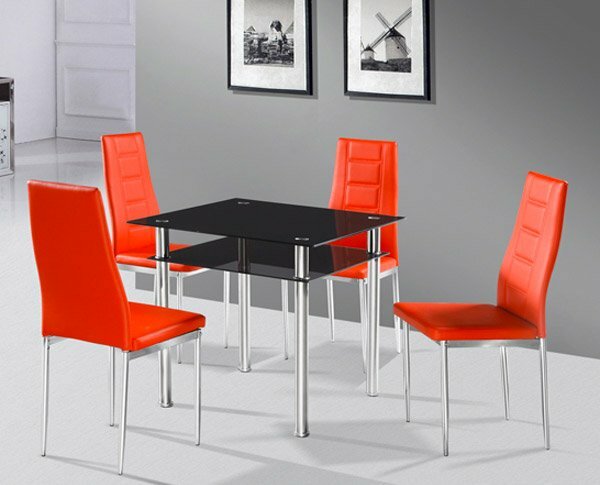 Where can I purchase “Chalon” ; the square glass dining table with 8 leather chairs. It was submitted by Bowery Interior Architecture. They are in CA and we are in FL. I’ve written them, but nobody responds to me. Your assistance is greatly appreciated! !